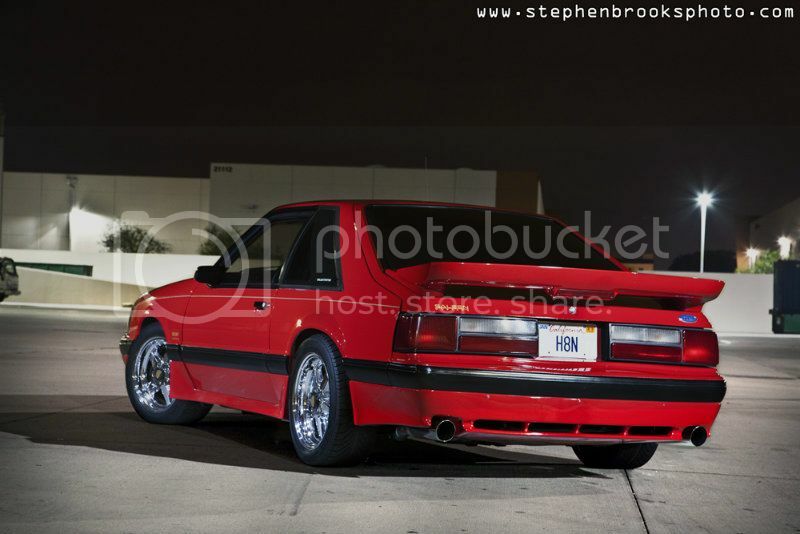 1988 Saleen Coupe #509 - 19k mile all original time capsule save for the SA10 Stern wheels in gold! Last edited by Agent_177; 12-06-2012 at 09:25 AM. Those are some great pics, keep them coming. 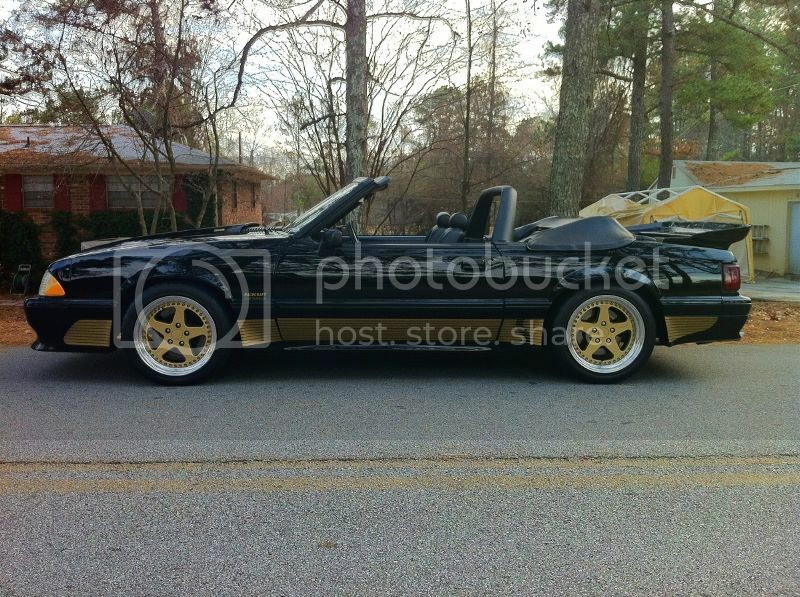 1989 719 looks so much like my old car, just delete the stripes and add a moon roof. Awesome car! 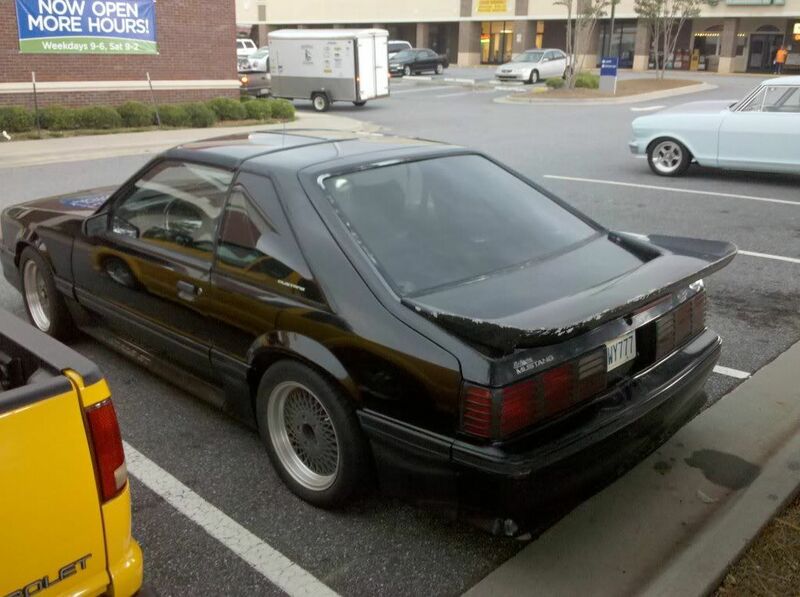 Here's my newest Saleen, 1990 Black with Gold stripes and wheels. 1 OF 1 !!!!!! Triple black with leather. I just got the 3 piece sterns painted to match the stripes and installed. 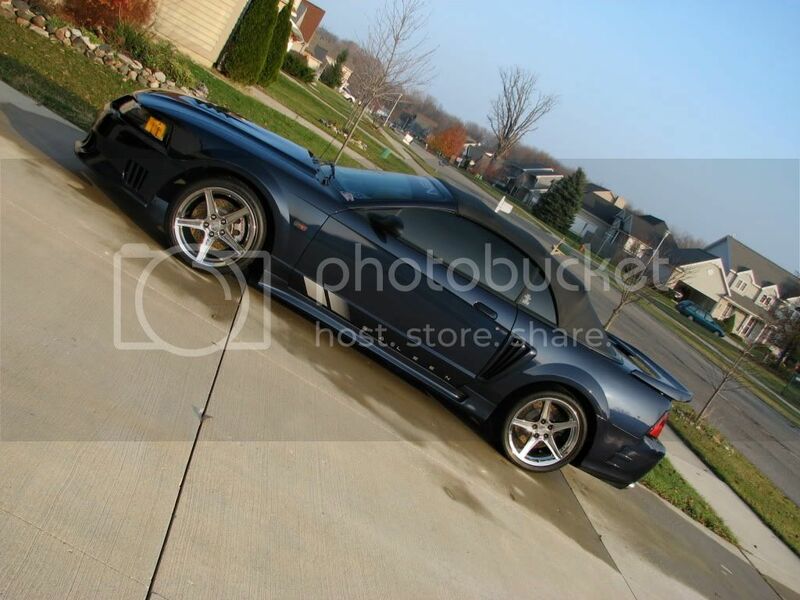 It's also supercharged and has the HOLY GRAIL intake, first edition numbered #05!! I've enjoyed looking at all your photos and I though maybe I should share. This is my 1990 Fox, #222. 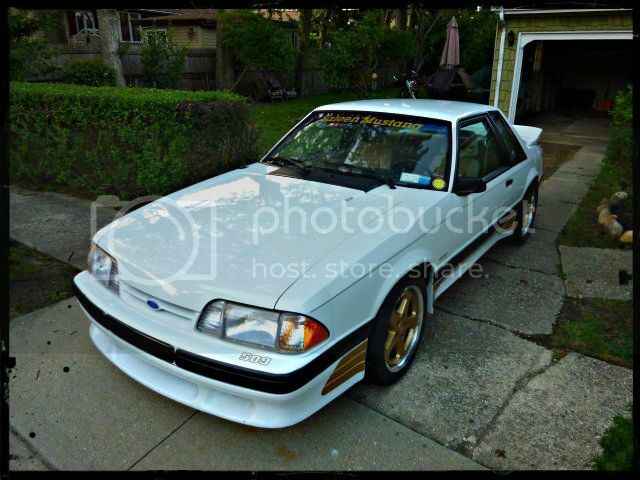 I'm the original owner and she has 11k miles. Vehicle looks great! The all black Ford interior is attractive. Man! That black and gold is beautiful! Great looking 'vert George! Can't wait to see it at the Nationals. 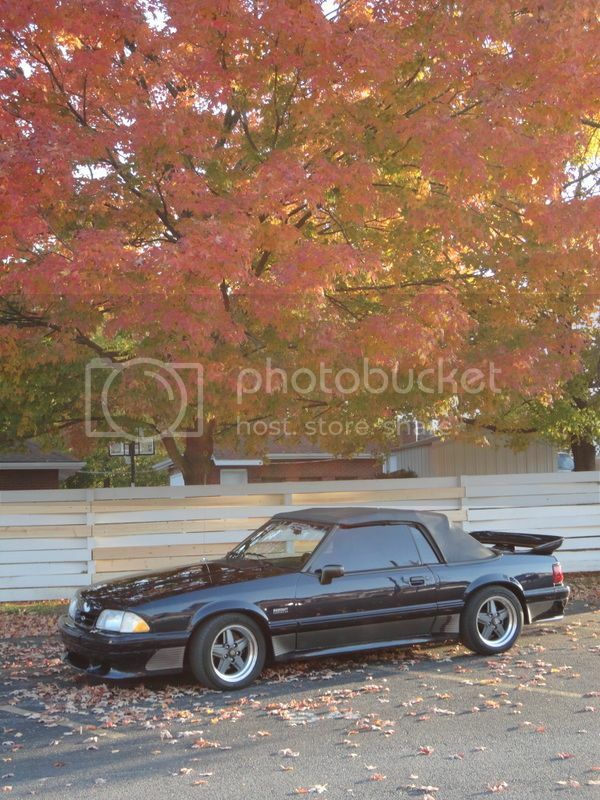 Love the fox body! Beautiful cars everyone! 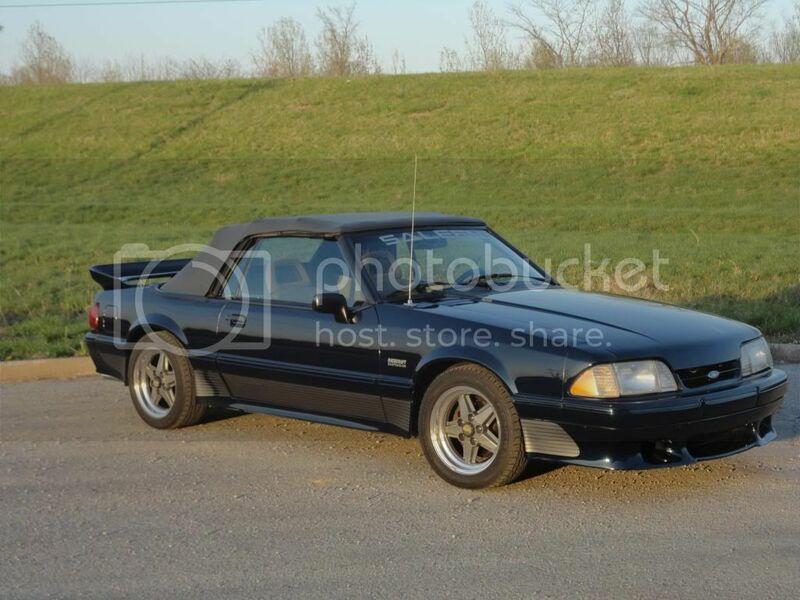 I am convinced now my next toy will be a fox body saleen! Looks great! You do not see many blue after 1989. 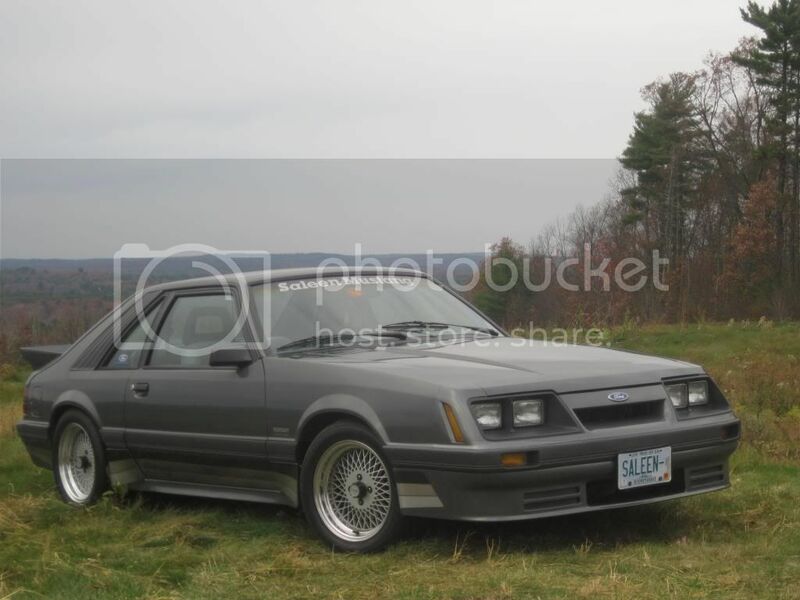 I can't figure that out, twilight is a great blue and ford offered ultra blue that looked great also. 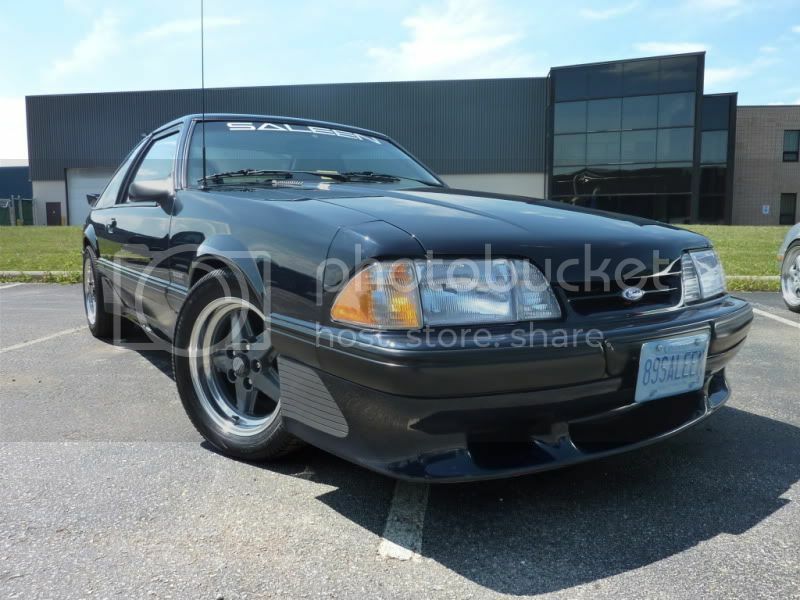 I think an early '90s Ultra Blue Saleen (or SC) would have looked terrific! 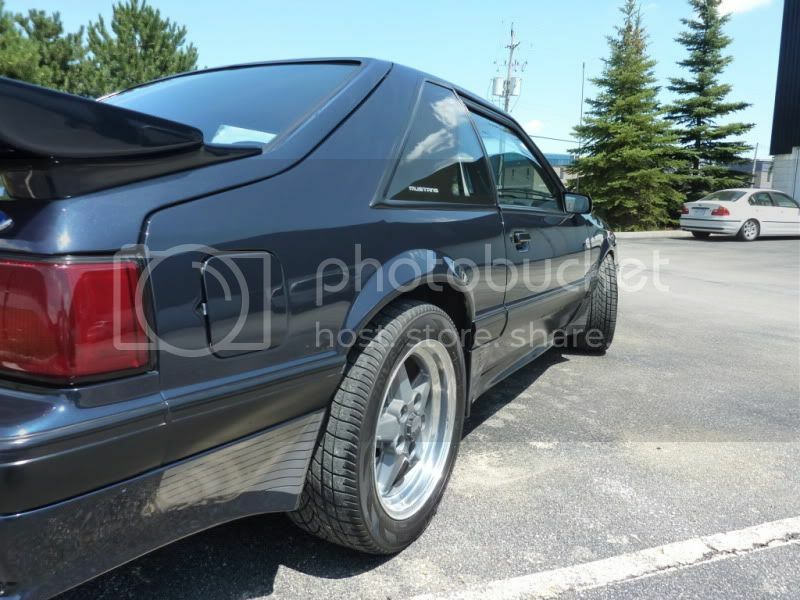 One bummer with Ford metallic paint from the 1980s/1990s... it would fall off the car. Funny you should say that. 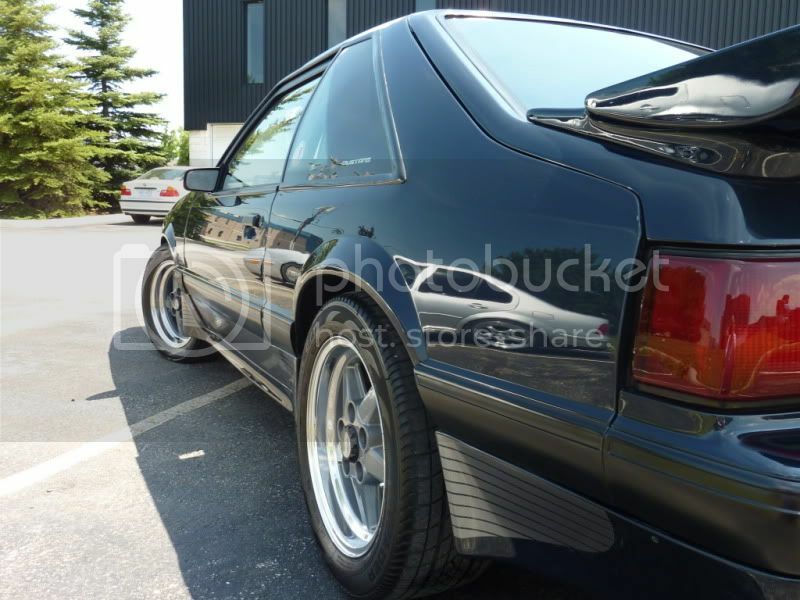 I clocked a kazillion miles on my 89 and the Saleen panels held their color better than the rest of the car. That shadow was an amazing color! 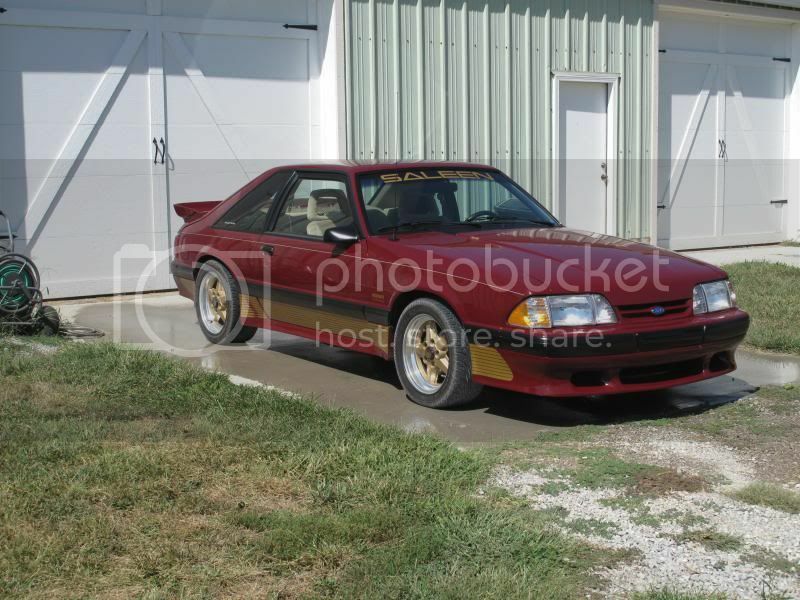 Steve should have a color like that in his special paint selection. It would probably have a bit more pop than the original. Should have posted it earlyer. 91-045, one of one twilight blue 'vert. Ive never really looked close at shadow blue but it looks alot like twilight blue without the metallic, or does it have a flake to it? 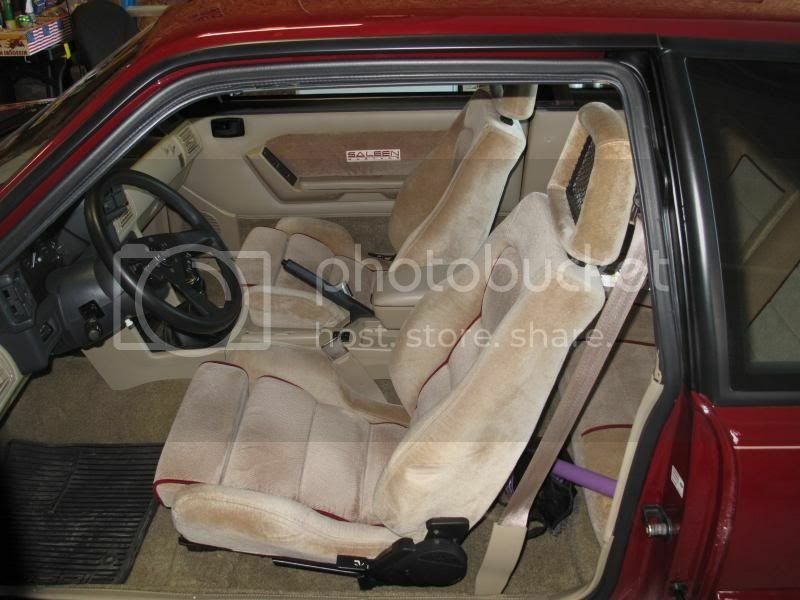 Had the seats and the door trim panel recovered a month or two ago. Foxsaleendream: That is a beauty, what color would that be? One before the winter. 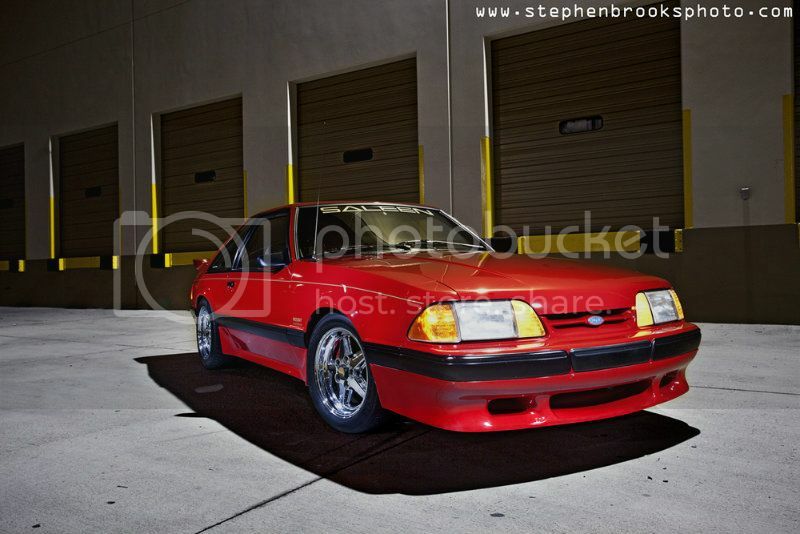 Aaros' car is badass! Thank you, Sir! 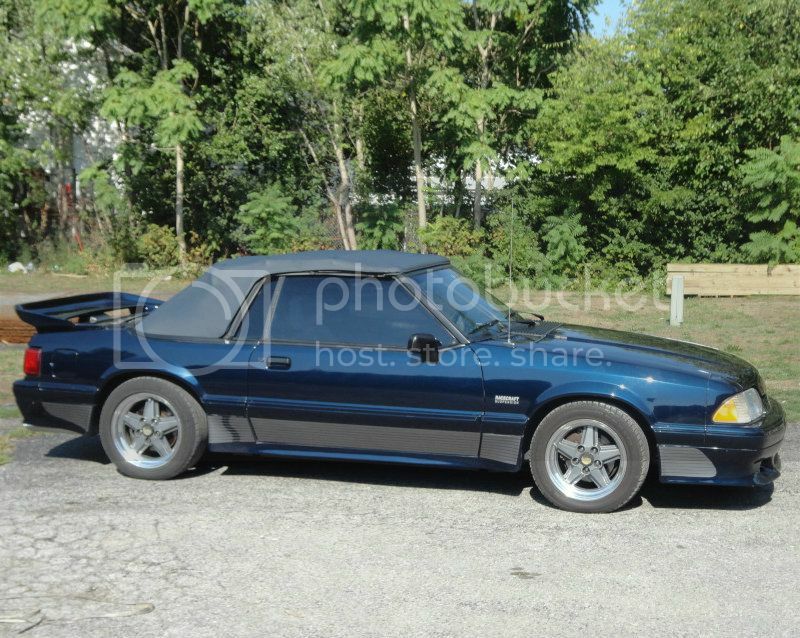 That white on blue is sharp, Im a sucker for white saleens though. 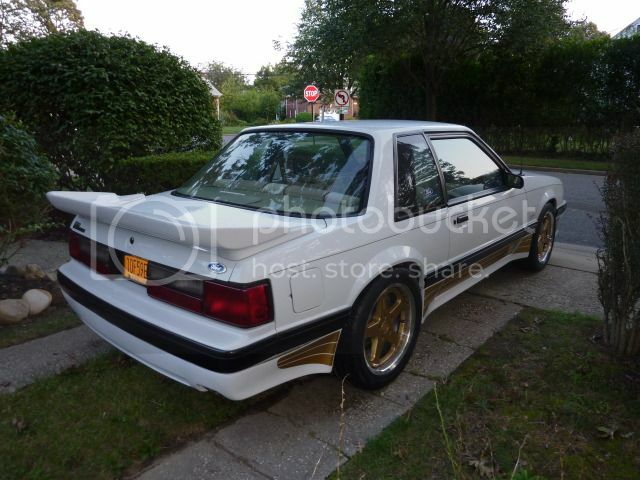 Beautiful clean Fox. Hey, I'm only a few miles away from you. Thank you, I like that silver bullet you have also. Maybe we'll cross paths somewhere around here one day. We do cruise nights and some shows with MCCCC around the area spring to mid fall. 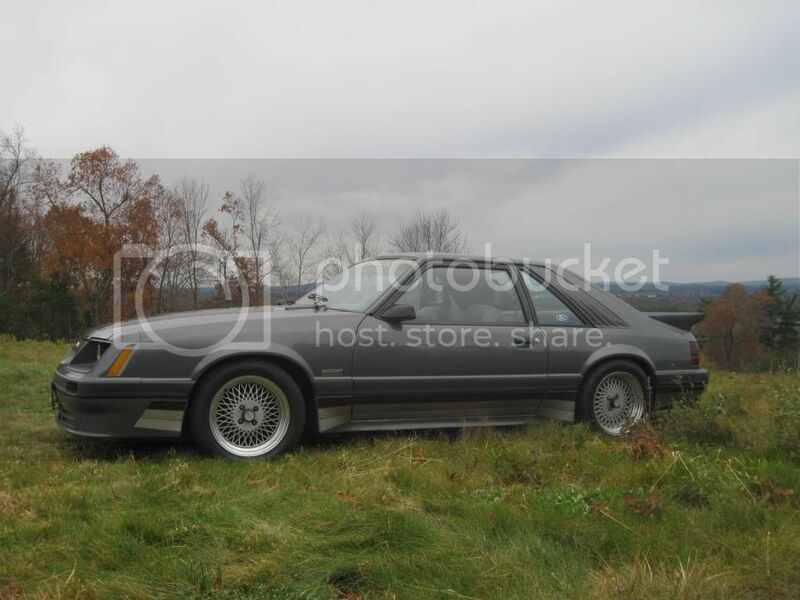 I know its probably a longshot seeing that the post is from 06 but does anyone have any info on this car? Charcoal looks great! Congratulations with the purchase. 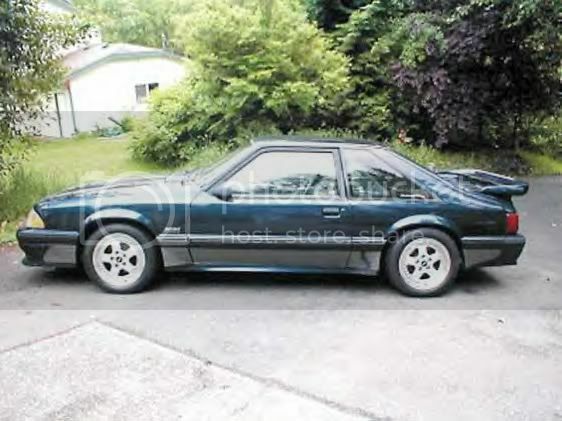 Best I can find there were 4 twilight blue cars made in 91. 11 (coupe) 45(vert) 57(HB) and a SC car #15. 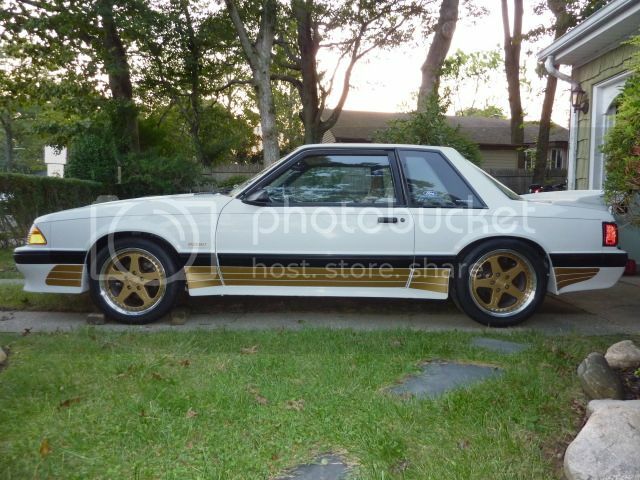 I guess it could be 57 or one of the 90 model with the side moldings painted. 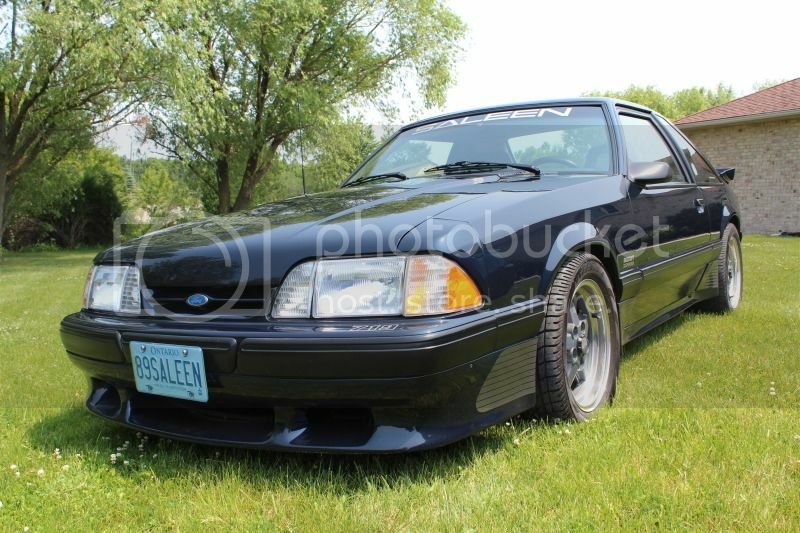 By some accounts five dark blue 1991 Saleen Mustangs were produced. 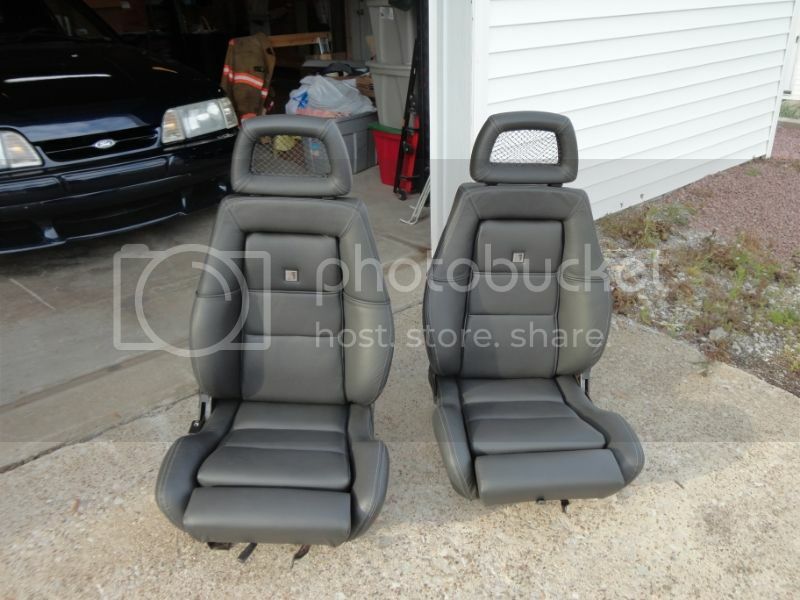 All had Titanium color interiors with the SC featuring Saleen leather seating. The above car was 91-0023. Cool, I haven't been able to find anything on #23, just the other four. Ill add it to my list. Thanks! Here's an update on 89-676. A NW car, that recent spent some time on the East Coast, has now landed in Missouri. 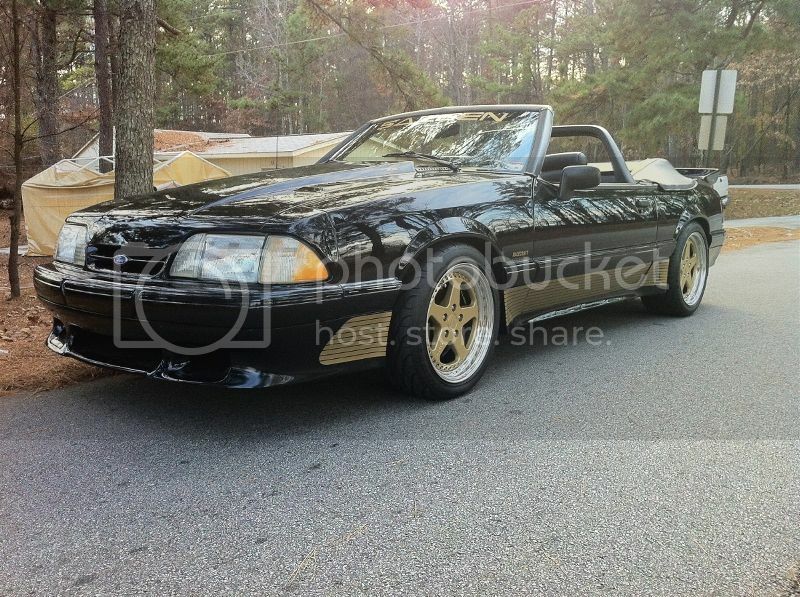 Only has 7,600 miles and shares shop space with our 07 Shelby Terlingua. Wow, that interior is beautiful! 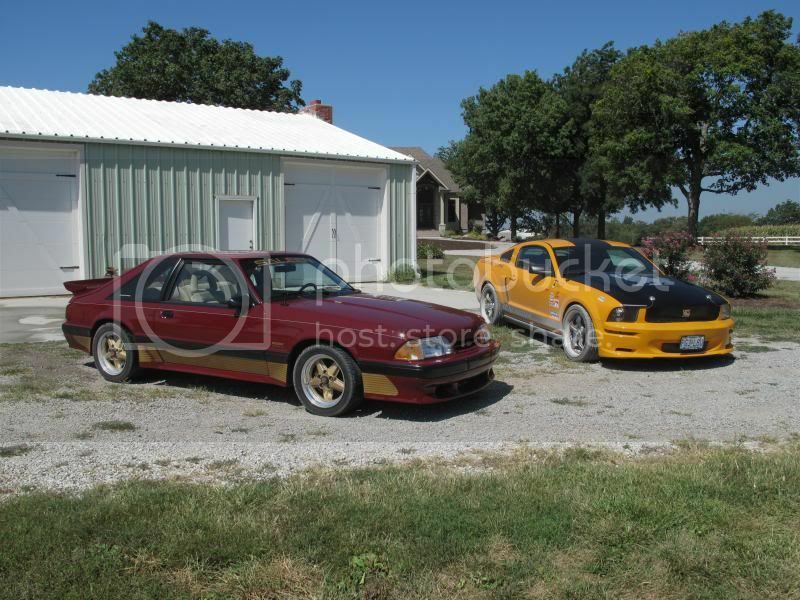 Great pair of cars, thanks for sharing. A new purchase for us. It needs some work but overall a rare find. Just got coa today. Having a hard time with the pics. I'll try to add a few more later.